Pakistan’s decision to grant India Most Favored Nation trade status is long overdue. But it’s still welcome. 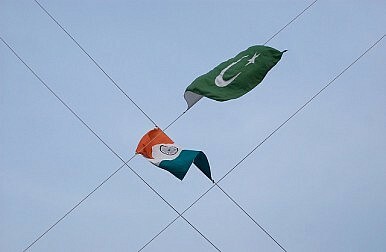 Given the volatility of India-Pakistan bilateral relations, major policy decisions sometimes end up stoking the very controversies that they were meant to remove. A similar thing has happened in the context of Pakistan’s historic November 2 decision to grant Most Favored Nation (MFN) status to India. New Delhi had extended this privilege to Islamabad way back in 1996, and had been expecting the favor to be returned all these years. But it was a decade and a half before Pakistani Information Minister Firdous Ashiq Awan announced that the federal cabinet had unanimously approved a proposal to accord MFN status to India. But less than 24 hours later, Pakistan seemed to have performed a U-turn. The cabinet decision was uploaded on an official government website on the night of November 2, but the press release was missing the next morning. Instead, it was substituted by two press notes that made no mention of MFN status for India. Assuming that this is simply an oversight, then the granting of MFN status is undoubtedly a positive development. India was quick to welcome the move, which is expected by some estimates to triple India-Pakistan bilateral trade in the next few years from the current, modest $2.6 billion. Of course, the Pakistani leadership has already played to its domestic gallery by saying that granting of MFN status to India doesn’t in any way dilute Pakistan’s moral, political and diplomatic support for the Kashmiri separatists. Still, the move signifies an important shift in the Pakistani mindset. Why this has come about now, though, is unclear. India should emulate South Korea’s success in turning a North Korean provocation into a source of revenue.